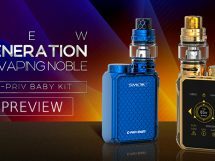 Smok products have a history of reliability and sturdiness; from their regulated devices to their various tanks, the manufacturer has had a habit of putting out products that will stand up to the rigors of all day vaping, and never over promise on the design. 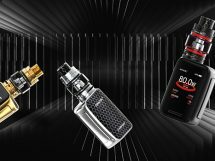 The TFV8 Cloud Beast is the latest offering from Smok, and it promises, if the name is anything to go by, to be one hell of a vape. 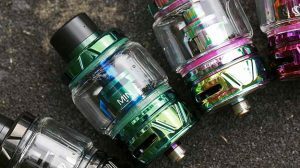 Let’s take a couple of minutes to look at this bigger, badder, and more upto date rebuildable tank. 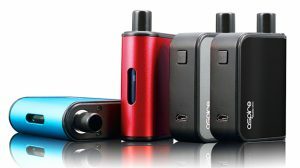 If you enjoyed any member of the TFv line-up, think of this as the newest offering in a larger size. 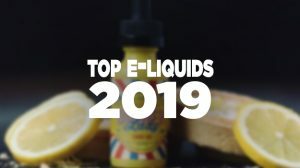 I still enjoy my TFv4 on a regular basis and am actually excited to get my hands on this one. 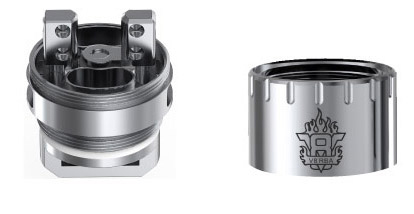 Measuring in at 25.5mm * 50mm the enhanced frame of the TFV8 allows space for many new innovations. Still constructed from stainless steel with Pyrex glass, the look and feel remains true to the style we have become accustomed to with the Taste Furious line. The extra room has made it possible to install a 6ml juice-well. 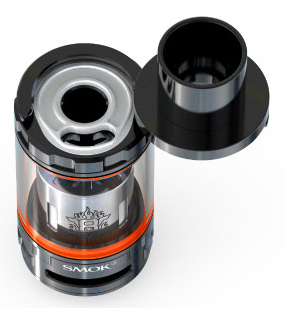 Inside the packaging, Smok has included not only a replacement glass tube, but also an assortment of exciting new coils (which we will touch on in a second). 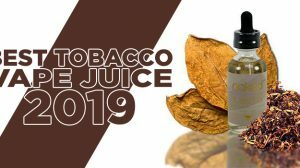 The TFv8 boasts a smooth and silky taste with flavor beyond any previous Sub-Ohm tank (a claim I cant wait to put to the test). For those who enjoy building their own coils, the TFV8 has an 18mm Velocity style build deck — a decent size for building on comparable to other tank style coil systems. The other major talking point being discussed about this system is the patented “Turbo System”. The over sized central airflow tube is just one of several innovations that will make this beast roar. 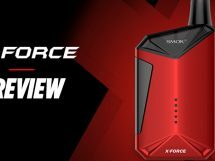 The diameter has been increased by 15% compared to the TFV4, as has the size of the bottom “cyclops style” airflow control to give a 30% increase in vapor flow. Add to this the wide bore drip tip, that has had its inner wall reamed out, this tank promises airflow like no other. 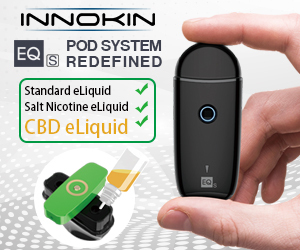 The best results will be achieved by taking advantage of any of the number of coil heads recommended by Smok. The V8 in the name is in reference to the All-American beast of an engine, the V8-T8 octuplet coil and V8-Q4 Quadruple coil promise more vapor than anything they have given us before. 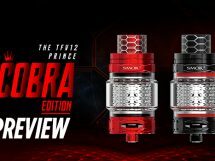 With increased everything, this tank is sure to impress those who appreciated the TFv4, as Smok have taken into account the things that their customers asked for and improved on it.